Commemorating Canadian Olympic athletes, the Royal Canadian Mint released a new coin into public circulation, a 2012 $1 Lucky Loonie Circulation Coin. 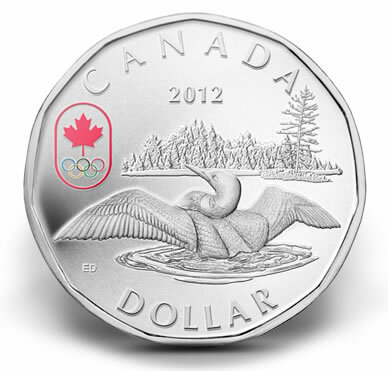 A limited edition collector 2012 $1 Lucky Loonie Silver Coin was also released. 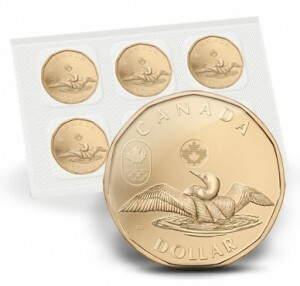 Both Lucky Loonie coins sport similar reverse designs, a common loon spreading its wings in a territorial display as it ripples the water under it. Also on the reverse is the Canadian Olympic Team logo, to celebrate Canada’s athletes at the 2012 Summer Olympics in London. Inscriptions are "CANADA" across the top and "DOLLAR" along the bottom. Emily S. Damstra was the artist. As is common for all of Canada’s legal tender coins, an effigy of Queen Elizabeth II by Susanna Blunt graces the Lucky Loonie obverses. On July 19, the same day the commemorative coin entered circulation, the Royal Canadian Mint presented a Lucky Loonie to Mark Tewksbury, the Chef de mission for the 2012 Canadian Team. It will be kept at the Canadian Olympic House in London during the games, which start on July 27. Upon the teams’ arrival in London, each athlete was handed a Lucky Loonie. The latest strike represents the fifth in a collection that began in 2004. Inspired by the tale of the first "lucky" loonie that was embedded in the ice of the 2002 Winter Olympic Games in Salt Lake City, an official version for circulation launched in 2004, 2006, 2008, and 2010 — each, except for year 2010, with different designs of the iconic bird plus the country’s official Olympic emblem. For this year’s collector version, the composition is 99.99% fine silver and stuck to proof quality. Up to 20,000 will be minted, accompanied by serialized certificates. Weight of each specimen silver coin is 7.89 grams and the diameter measures 26.5 millimeters. The edge is plain. An additional element that is added to the silver strike’s reverse design is a forested shoreline in the background and a colorized Olympic emblem. 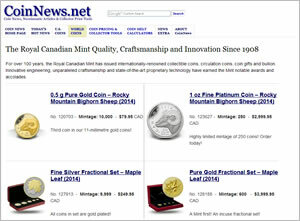 Canada’s Lucky Loonies may be ordered from the Royal Canadian Mint. 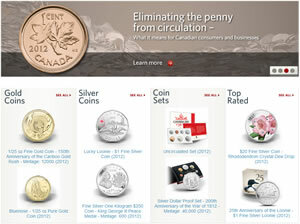 Pricing for the collector silver coin is $39.95 CAD each, and it may be found here. The circulation version is offered in a five pack for $5 CAD, but there is a three per Canadian household ordering limit. More details for it and order information may be found here.